If you’ve had your eye on the divine iCandy Peach 2016 model, now is your time! The astounding new fourth generation of this uber-popular pram is being released around Australia this week – and no matter what type of mum you are, this beauty can fit snuggly into your mum-life. All you need to do is work out which type of iCandy Peach mum you are – so come and have some fun, and check out the coolest new ride on the block. 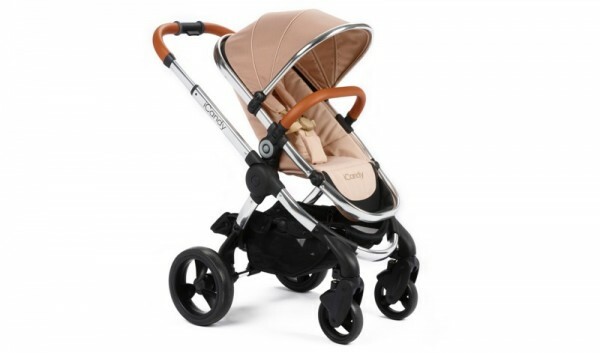 Just like all mums, the new iCandy Peach is masterful in many different ways. As the most compact single-to-double pram on the market, it has a whole host of family situations completely covered. If your family has been instantly transformed with the addition of twins, the beautiful iCandy Peach 2016 will slot right in. The mum of twins wants everything in her life to be a little less complicated, and the iCandy Peach is quite accommodating in this regard. 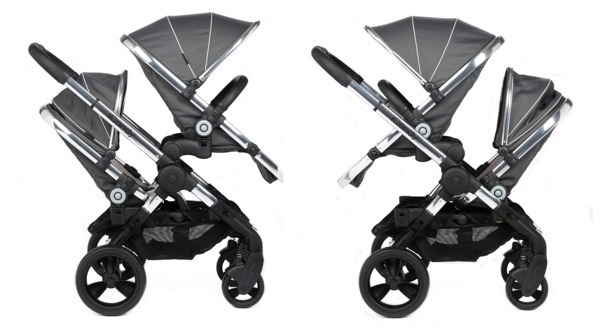 There’s no need to change the chassis when you want to add a second seat, and both seats are suitable from birth. 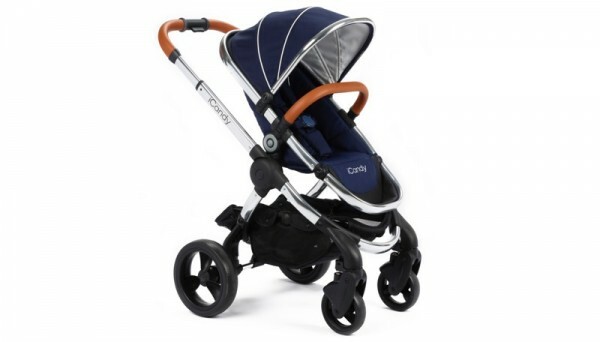 However, if you love the look of the carrycots, these can be purchased separately. Not quite the same as twins but just as challenging is the mum who had two babes in a short space of time. A toddler and a newborn are quite the challenge when it comes to transport, but your trusty steed – the iCandy Peach, is a smooth and comfortable ride for both. But just because this ride can easily transport a toddler and newborn, doesn’t mean it’s bulky. There’s no need for a chassis change, just add a second seat and adaptors to the Peach and hey presto, it’s a double! The large seat can take a child weighing up to 25kg, the lower seat 15kg – so the older child will ride in front and the newborn at the rear. Again, that second seat is perfect for a newborn. When you think about it – we’re all circus mums. We have so many balls in the air at once that juggling is second nature. We regularly have one babe in arms, while doing all manner of things – and that can include popping open the iCandy Peach. The one-handed fold means your superhuman powers as a mum are magnified. And it can be folded without having to take off the lower adaptors. What’s more, in another fine example of how this pram is exceedingly helpful to mums who juggle, it’s freestanding when folded. Do you have an itty bitty car that works well for your family, but has a boot without room to spare? Then you’re a mum who needs a little less junk in her trunk – and the nifty iCandy Peach 2016 model will ensure your boot space isn’t completely overtaken. The chassis is nice and compact at just 60cm by 60cm (which means it’s also a little ripper at getting around tight supermarket aisles). If you love to have options, you’ll love that the new Peach 2016 comes in six new colours: Royal, Truffle 2, Honeycomb, Black Magic 2, Peacock and Butterscotch. The luxe leatherette handle and bumper are a little bit awesome as well! Oh, and there are two frame options – Chrome and Space Grey. And here’s another clever little trick: in its elevated position, the Peach can be used like a highchair. No need to take your tot out of his comfortable little nest when out and about, just pull your pram up to the table and you’re set. Of course the main reason the reimagined iCandy Peach is the ultimate pram for mums who love options is its versatility. It’s a single stroller, a double, it can be used for two newborns, a toddler and newborn, and the seat units face either towards the parent or out to the world. It folds like a charm and it fits in a compact boot. The new iCandy Peach 2016 really does have it all. No matter what type of mum you are, this sublime pram gets our tick of approval, and it’s available at baby stores around Australia from this week. Get all the specs at iCandy.